Could Brazil be the world's next big casino market? Posted on July 24, 2017 at 5:29 am. SOME of Las Vegas’ biggest casinos are keeping an eye on Brazil as the South American country considers regulating the casino industry for the first time in decades. 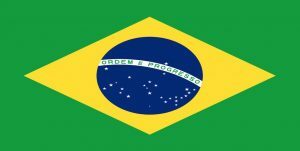 Although no plans are in place to legalise land-based casinos in Brazil, the government is considering legalising online gambling, leading casino giants to ponder the possibility of Brazil being the next big international casino market. Brazil once had a thriving casino industry, before casino gambling was banned completely in 1946 under the Criminal Contravention Act. Underground gambling has been prevalent for years, and many Brazilian’s now turn to the Internet to place real money bets at offshore casino sites, where grey areas in the gambling laws allow them to do so without penalty. In a bid to stop Brazilian money being pumped into international casino sites, the Brazilian government has introduced a bill to block online payments made to offshore casinos and is now considering issuing online casino licenses to qualified operators for the first time. While no new regulations or legislations have yet been established, casino companies Las Vegas Sands Corp and Caesars Entertainment have identified Brazil as a future potential gambling market. Jan Jones Blackhurst, executive vice president of public policy and corporate responsibility for Caesars Entertainment told the Las Vegas Review-Journal that Brazil could be a significant market. After making multiple trips to the Latin American country, Blackhurst has identified Brasilia, Sao Paulo, Salvador da Bahia and Rio de Janeiro as the top locations for a Brazilian casino due to their tourist appeal and number of wealthy residents. Las Vegas Sands chairman and CEO Sheldon Adelson met with Brazilian president Michel Temer and other government officials in May to discuss potential investments, but said the possibility of establishing casinos in Brazil remained far in the future. Blackhurt said American casino companies expanding in Brazil would depend what the final legislation looked like. A major hindrance to the possibility of Brazil introducing a regulated casino market are the ongoing allegations against several government leaders into corruption involving bribery and money laundering. Unlike Japan which has introduced new laws to allow casino gambling in the country for the first time, the uncertainty of Brazil’s leadership means it’s unclear who would lead the legislative efforts.